"You have to understand, sometimes things in life don't happen the way you want them to…" The Orchard has premiered an official trailer for an indie coming-of-age film titled Lane 1974, set in 1974 telling the story of a young teenage girl raised in the communes and dusty back woods of Northern California. Sophia Mitri Schloss stars as Lane, with a cast including Katherine Moennig, Jasmin Savoy Brown, Sara Coates, Linas Phillips, Annette Toutonghi, Sarah-Eve Gazitt, and Erik Braa. This almost seems like the all-woman version of Captain Fantastic, about a mother who is raising her family in the woods, free from the typical capitalistic amenities of modern society. It also reminds me a bit of The Glass Castle, about a woman raised by weird parents. I'm still intrigued by this, just not sure if it will have much else to offer. Based on Clane Hayward's memoir The Hypocrisy of Disco, Lane 1974 is the luminous, enigmatic journey of a teenage girl trying to survive an American counterculture. It's 1974. 13-year-old Lane (Sophia Mitri Schloss) lives on a beautiful Northern California commune, wild and free, until her mother, a rebel and iconoclast, alienates their small group from the security and safety of the community land. They begin moving from one unlikely situation to another, leaving normal life far behind. 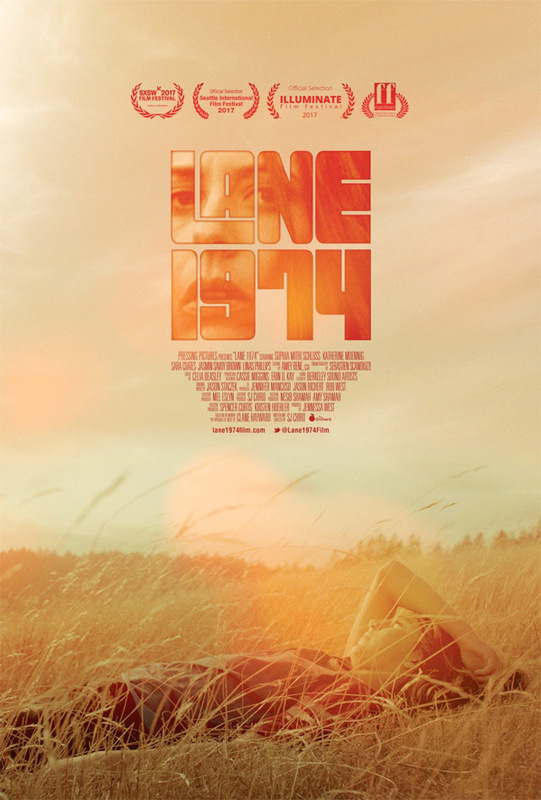 Lane 1974 is both written and directed by filmmaker S.J. Chiro, making her feature directorial debut after a number of short films previously. It's adapted from Clane Hayward's memoir titled The Hypocrisy of Disco. This first premiered at the SXSW Film Festival, and also played at the Seattle Film Festival this year. The Orchard will release S.J. Chiro's Lane 1974 in select theaters + on VOD starting September 26th this month. Anyone interested?